Boyds, Md. 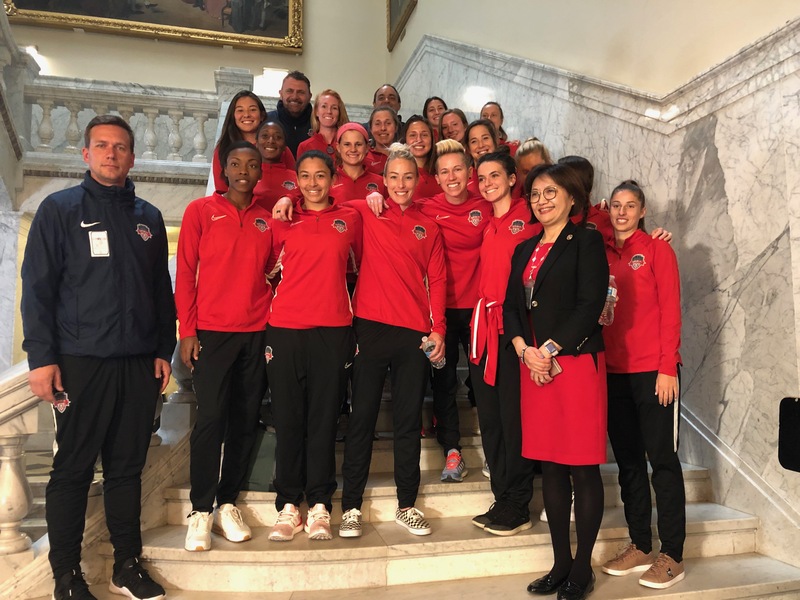 (3/30/19) – At the invitation of Maryland District 15 Delegate Lily Qi, the Washington Spirit first team made a trip to Annapolis, MD to visit the Maryland State House and observe the House of Delegates legislative session. For many of the Spirit players and staff, this was their first experience in the historic Maryland State Capitol. “One of the greatest aspects of playing in our area is the opportunity to visit national landmarks, observe democracy in action, and learn about the history of the United States. This visit is the first of many that our club will make like this as we seek to provide the best player experience in the NWSL,” said Spirit Head Coach Richie Burke.